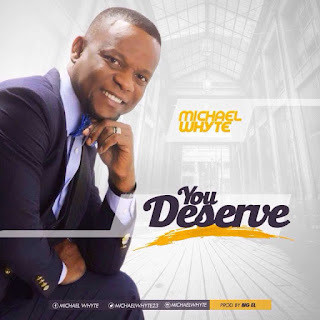 US-Based Nigerian music minister, Michael Whyte releases his new single titled ‘YOU DESERVE‘. People pay attention to what they don’t have instead of giving thanks to God for life and other things which they fail to see! The song ‘YOU DESERVE’ Enjoins us to always eulogize God in all situations and by so doing our victory is sure! “I pray as you listen to this song you will be moved, encouraged, and stirred up to live a life full of thanksgiving to God. (1 Thessalonians 5:18) In every thing give thanks: for this is the will of God in Christ Jesus concerning you” – Michael Whyte.